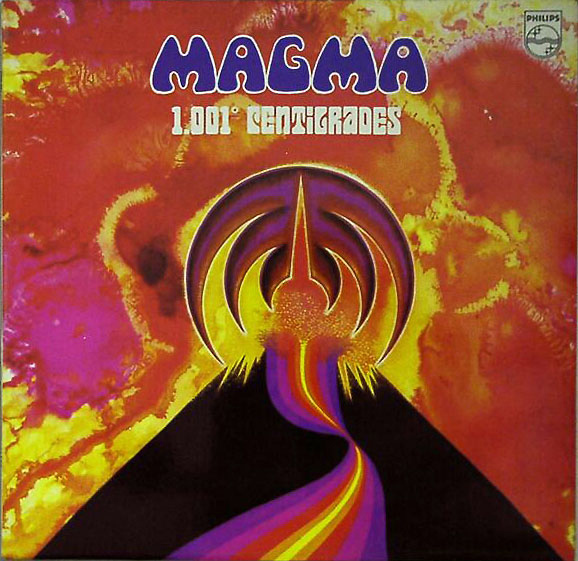 Magma's second album continues in the experimental jazz-rock direction defined by the first. A few small lineup changes – the replacement of two horn players and the loss of guitarist Claude Engel – combined with François Cahen's introduction of electric piano to the group's sound, help push the band into an even more exploratory mode. The album consists of three long tracks which not only develop many of the musical concepts originated on the first album, but also delve into new compositional ideas. Vander's side long contribution, "Rïah SahÏltaahk," introduces his penchant for phrase repetition as both a lyrical and a musical device, and his use of syncopation and instrumental counterpoint as a means to counteract the potential monotony of prolonged repetition. While the piece may bear a cursory resemblance to his work on the first album, structurally it has more in common with Vander's future compositions, emphasizing abrupt thematic transitions and an unassuming rhythmic diversity and complexity. The other two tracks, penned by Cahen and reedman Teddy Lasry, reveal a slightly more traditional jazz sensibility, as well as a more flowing compositional style, which Vander would incorporate into his own style in ensuing years.